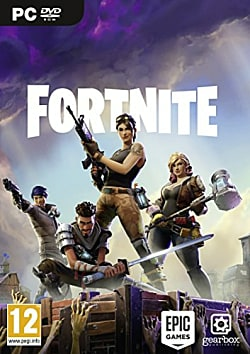 Drop into the massive Battle Royale that is Fortnite! Whether it is the full game's "Save the World" mode, or the free-to-play PvP "Battle Royale" mode, chaotic greatness is sure to ensue in this epic Minecraft meets Left 4 Dead multiplayer experience! In Save the World, players can work together, or alone, to fight back against waves of undead beings known as the Husks in the wake of an apocalyptic event known as the "Storm." Collect resources, build fortifications to protect yourself, survivors, and objectives from the undead horde, and construct various unique weapons and traps in order to send the fiends to their doom. Gain experience, level up, and improve your arsenal. As for Battle Royale, jump in and enjoy the chaos of the Free-to-Play 100-player PvP on one giant map. Take advantage of your building skills, destructible environments, and your gear of choice on this stage of intense PvP combat. Last one standing wins, so keep fighting until the end! Now, content creators can earn a percentage of games sold on the Epic Games Store with the Support-A-Creator Program. Where we dropping those memes, boys? Check out our favorite picks for Fortnite memes this year. While some players may still be completing Fortnite Season 7's third week of challenges, a leak outlines what fans can expect from week four's offerings. Fortnite's seventh season is in full swing, and a third week of challenges will have players ringing doorbells, searching chests, and riding ziplines. Epic temporarily disables Fortnite's PvE mode, Save the World, after a new Frostnite event causes issues with players' Stormshield Storage containers. Fortnite's first ariel vehicle has been shaking-up Season 7 of the battle royale, and Epic has decided to decrease its power level with an imminent update. Epic proposes changes to Fortnite's powerful new sword, the Infinity Blade, but some fans want the melee weapon to be restricted to a Limited Time Mode. Epic Games looks to "help developers succeed" by offering them a number of the services at the foundation of Fortnite's cross-play support, at no cost. A new "ethics assessment committee" in China has banned nine titles from release in the country, and reports suggest that Epic's Fortnite is one of them. This week's Fortnite update brings Infinity Blade to battle royale, as well as creative mode (for everyone) and loads of bug fixes. 10 gifts any Fortnite-loving family member would love to get this holiday season.